Breckon Cardigan is Finally Complete! I finally finished this sweater last night. It seemed to take a while with it being summer and all. 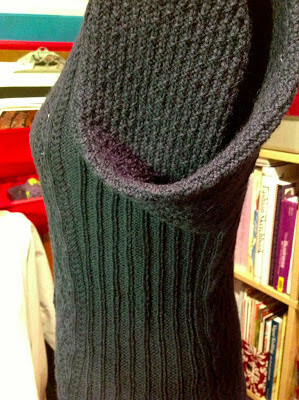 I had a couple of unintentional modifications: the side panels were supposed to be done in granite stitch, the same as the sleeves, but I somehow misread the directions and did ribbing instead. I think it looks fin though. I also didn't account for the top button with the neck ribbing, so all the buttons are not spaced appropriately. I actually think that looks just fine. 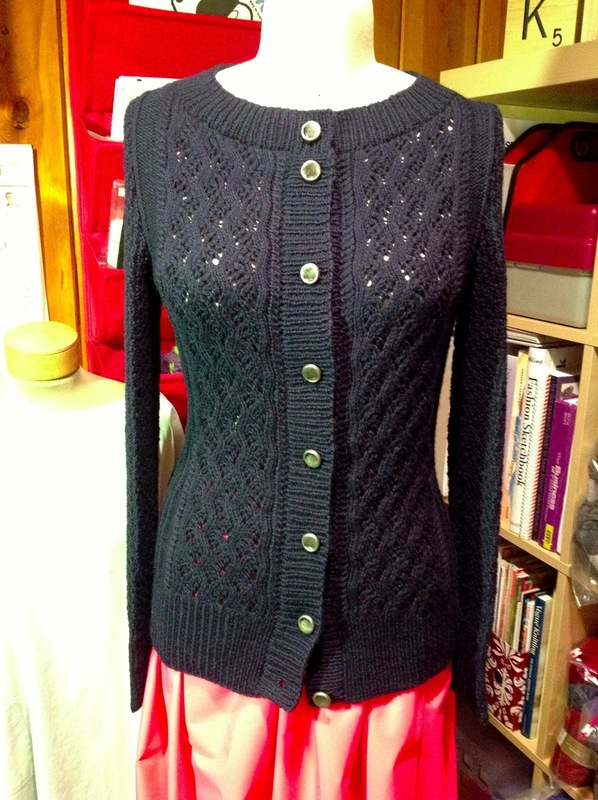 This will be a great layer for fall and winter! This was probably my last knitting project for the summer. On to sewing projects now!